My form at goo.gl/7VPlq seems work fine, but it keeps on no submission at all when I check it on Jotform web site. 3. Change the Sender E-mail to noreply@jotform.com. You can also set "Reply-To Email" to your email field so you can reply to them on their submissions. Let us know if the problem still persist after this. Thanks! Thanks for your instructions, but it seems the same result. I cannot receive any email notification and even cannot see any submission on my Jotform account, although I am a Premium subscriber. Before I add the whitelist, at least I can see submissions on my Jotform account, I think. Reminder: I had some experience on Jotform before and it worked fine without any problem. 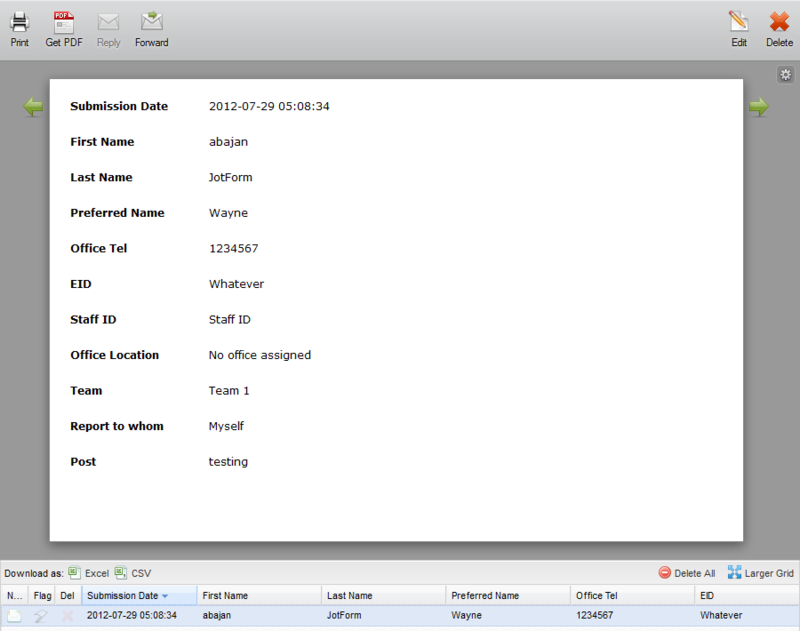 I have checked on your mail logs and can see notifications being sent from jotform to your email address. Can you try to delete your notification and autoresponder emails and set them again. 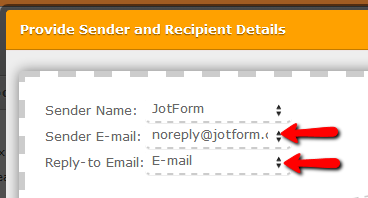 Also ensure to Change the Sender's Name and E-mail to Jotform and noreply@jotform.com. When I checked your account I saw two submissions (one in each form's submission records). Are you saying that you can't see those? The notification you mentioned was just the test when I set up the notification, not through the form I created. I tried to delete the notification and set it again following your instructions, but nothing change. Yes, there are two submissions (one in each form's submission records) in my account, but they are created in April when I originally created the forms several months ago, not the ones before I submitted the questions to forum. My forms seem work (it lets you fill and press the Submit button, and the Thank You page comes up), but my premium account keeps showing NO any submission. Problem solved. (Other thread dealing with this issue is Private). Glad to be of service, xunmi. I have two forms on my Premium account, the one at goo.gl/UhFiO works fine (both on notification and on my account on Jotform web site). While the other one on goo.gl/7VPlq still have problem, the notification e-mail works now, but I still cannot see any submission on my account at Jotform web site. Hi; I have made submission of your two forms and was able to see the submitted forms in your account. 2. Click the form of which you need to get your submissions. Lets know if you can see this submissions. That form is on your Free account (username: Woxunmi), not the Premium one. Could it be that you're simply checking the submissions of the wrong form? Let me apologize for any inconvenience caused, I found out the problem now. It caused by my Google url shortener, I forget to update to point to my forms created by my Premium account! I am sorry about that, and would like to say both services and supports from Jotform are great! Hey, we're just glad to know you got things all sorted out. No need to apologize at all because it's "all in a day's work" as the saying goes.